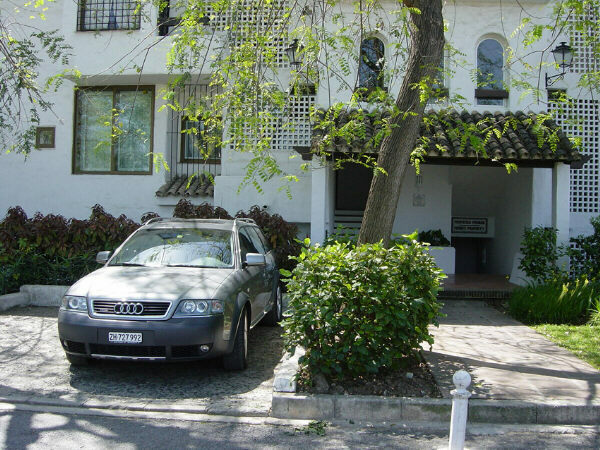 Since emigrating in December 2002 we sold all our cars and decided we would only require one car, but this car would have to be reliable and be practical for long distance traveling as we drive from Marbella to Winterthur (near Zurich) and back, several times a year, apart from the odd visit back to the UK. Furthermore, we visit ski resorts and sometimes our ski hotel is high up requiring a car that can cope with roads covered in quite deep snow. Some roads in Spain, once you leave the tourist areas, are best driven with an off road capability. We have family already in both of our new locations and plenty of visits by our children, grandchild and friends so we need a four seat car with at least four doors. Lastly having moved to two different homes we still find certain items would be better in the other location so we need plenty of luggage space too. After a lot of thought we chose the Audi A6 quatro Allroad and were lucky to find one for sale with every possible extra already fitted that was only a few months old with very low mileage. After so many years driving Jensen cars from the 1960's I confess it has been a steep learning curve, finding out all that this car has and what it can do! The navigation system (makes finding my way around places that I don't know so much easier). The ability to raise the ground clearance - already proved useful over snow and flooded areas. The separate diesel heater controlled by a remote control - not used yet but if at a ski resort you find the car is buried under lots of snow about 30 minutes before you need the car you can switch it on and (without draining the battery) both the car engine and interior is heated. Then it is easy to remove any snow left and one can sit into a warm car! The comfort of long distance travel in this car is a delight, after driving to and from Spain - we find that we still arrive feeling fine!